OK. So books basically take up most of my everyday thoughts - the key to knowing more about me is knowing more about the way I think. Although my brain is a random jumble of colourful thoughts, it's not quite hard to locate the book category. - I'd love to have a floor-to-ceiling bookshelf. The example above is just a taster. 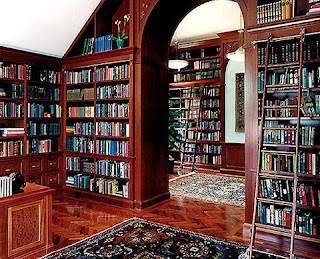 You know that massive room in Beauty and the Beast, the one with a floor-to-ceiling bookshelf across every wall? Yeah, I want that. - A secret book room. I've always been extremely jealous whenever someone in a detective movie or something stands on a bookshelf... and it spins them round to some awesome, huge, hidden book room. It's the perfect hiding place to get lost in a book. 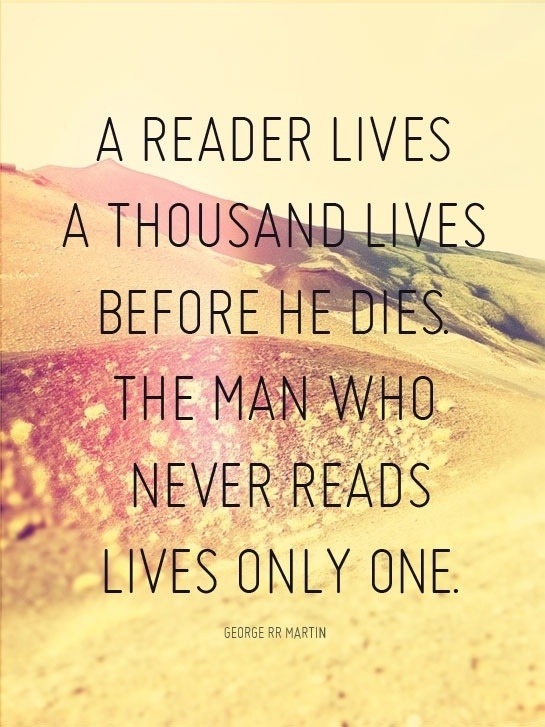 Like you're own personal library. - Have a no-budget book-shopping spree. If I ever did have this, I'd go crazy. Probably buy all of the book in the YA genre. I doubt it'll ever happen, though. Sigh. - Write my own book. Someday, I'd love to have my name in book stores around the world. Someday. "Hey. I wanna write a blog."